Since yesterday it’s officially fall ! The temperatures have started to cool ( a little ) on my side. And cooler temperatures means warm dishes!! I wanted to try a new recipe involving a stew-like dish. But I wanted something more exotic . I came across green curry paste at the supermarket and decided to give it a go ! 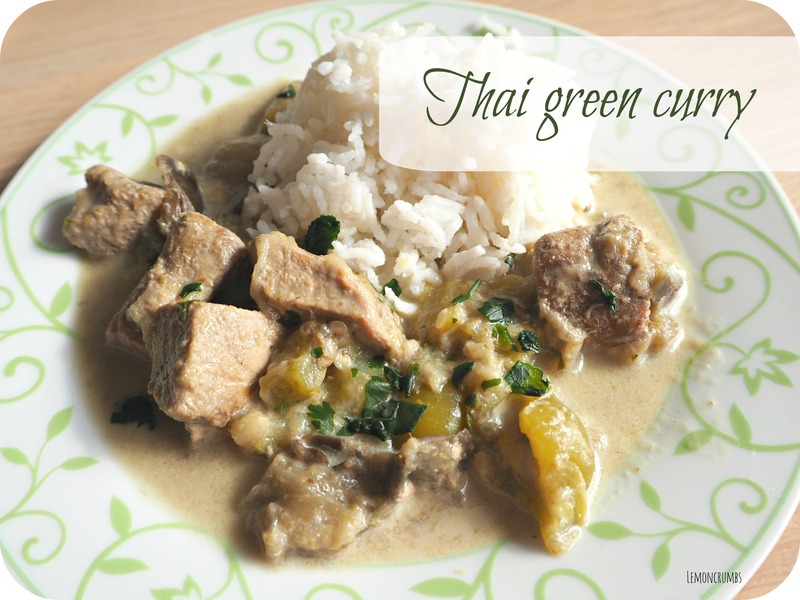 This thai green curry is really easy to prep in a whimp ( 15min prep time ). It is very versatile and can be made with any source of protein you have on hand : shrimp, pork, chicken, tofu. I cheated a little by using a pre-made green curry paste , but I was very pleased with the results. The key is to look up for the ingredients of the curry paste, I bought one with only ingredients I could pronounce. If you can find it in your country, I used the brand ayam, and can only recommend it ( I bought the product with my own money so it’s my very own opinion) ! 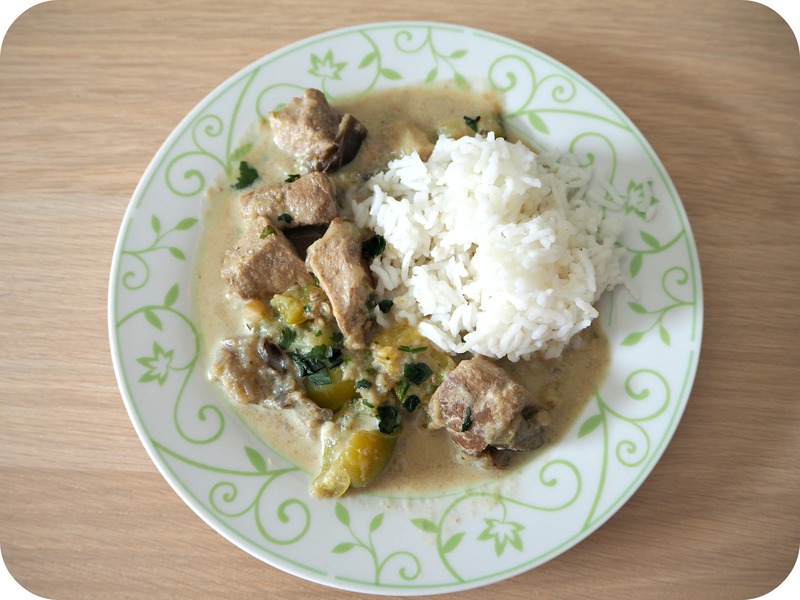 So how do you make this thai green curry ? I had 20 min to prepare dinner and it was enough. Basically you need to cut the meat in bite size pieces. Then, you cut the veggies, add the coconut milk and let it cook at low temperature for one hour. And , that’s all. Easy peasy. To change things up, I used my favorite veggies : zucchini and eggplant. If you don’t like those, you could easily change the veggies for any other you like , just keep in mind that carrots are long to cook and that they originally have eggplant in it (at least in all the places i tried a green curry).